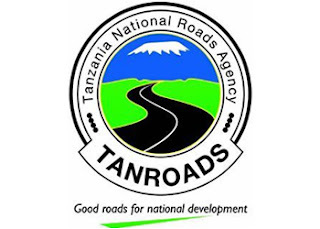 TANZANIA NATIONAL ROADS AGENCY (TANROADS) is a Semi-Autonomous Agency under the Ministry of Works, Transport and Communication established on July 1, 2000 and is responsible for the day-to-day management of the Tanzania Mainland’s trunk and regional roads network. Its primary functions include the management of maintenance and development works, operations of the network and Axle Load Control, the implementation of road safety and environmental measures, provision of advice on the strategic framework, policies and plans for the road sector. Successful applicants must be ready to work on ‘Shift’ basis including weekends and Public Holidays. He/ She should be willing to work for considerable lengths of time with minimum supervision. The position Holder shall report to the Axle Load Supervisor. Enforcement of Road Traffic Axle Load Control by the use of Weighbridge scale devices. Overall supervision of shift activities. Weigh Motor vehicles of Gross Vehicles Weight (GVW) ~ 3500kg on Public Roads. Measure physical dimension of motor vehicles or any load being carried on the motor vehicle, and in case of non-compliance with vehicle dimension limits, the transporters should be caused to seek for a special permits. Record all necessary particulars regarding the motor vehicle being weighed. Any other duties as may be assigned from time to time by Regional Manager. Holder of a Degree in Engineering related field from recognized Higher Learning Institution/College. Higher qualification will have an added advantage. Holder of Ordinary Diploma in Accounting or Certificate of Accountancy from any recognized Institute. Not above 35 years of age. All interested and qualified Tanzanians are invited to submit their own handwritten application letters, enclosing detailed curriculum vitae and CERTIFIED COPIES of relevant education and professional certificates, together with names of two referees and their contact addresses, telephone number(s) and E-mail addresses, so as to reach the addressee mentioned below not later than 25th August, 2017. Applications which will be received after deadline SHALL NOT be considered. Only short listed candidates will be contacted. Applicants who have worked with TAN ROADS particularly in Weighbridge Stations will not be considered and therefore are not encouraged to apply.